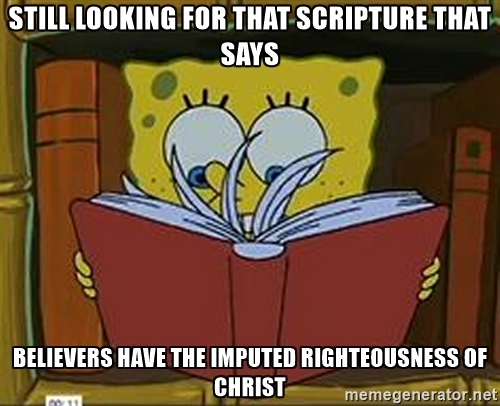 Have you consulted the holy ESV, the Koran, in other words? It’s gotta be in there somewhere. I’m sweating, please tell me it’s in there. Oh, wait, God’s public relations officers probably have the memo and are sharing it with the chosen few, numbered about 453…ever. Phew, thought I was lost there for a moment. “If you say something often enough it becomes the truth.” That’s a quote from the folks at the New Calvinism — not sure which one of them said it, but that’s their standard operating procedure. Some attribute the quote, “If you tell a lie long enough, people will believe it” (or the gist of it) to Goebbels (Reich Minister of Propaganda of Nazi Germany, naturally) or to Lenin (not John Lennon; he vomited. “Imagine there’s no heaven,” and fooled millions too. He also said “I am the walrus.” Time to break bread.). There are thousands more, Susan. Be aware, please.